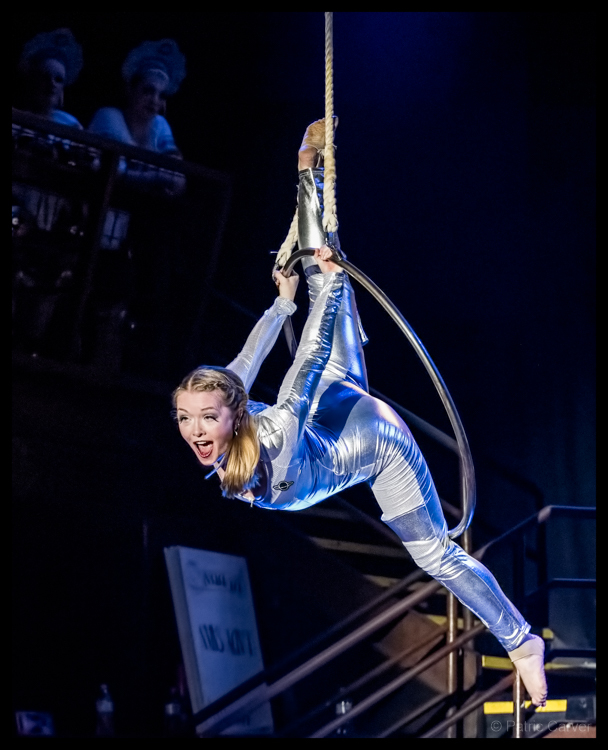 About a month ago, DNA Lounge proprietor Jamie Zawinski penned a heartfelt message to the people of the Bay Area letting them know that DNA Lounge is in danger of closing. Opening up about his finances, possible business missteps, and passions, Zawinski laid bare the club’s unstable future. This story is becoming more and more typical in this area, as rents go up and the spending of the average person goes down. However, instead of begging for people to contribute to some sort of last-ditch crowdfunding effort, Zawinski did something else. He asked people to support DNA by enjoying it – by going to the shows, by buying drinks, and by inviting to their friends to spend a night out on the town at DNA. When a club owner does something like that, it says two things: their heart is in their work and they think their club has something to offer. 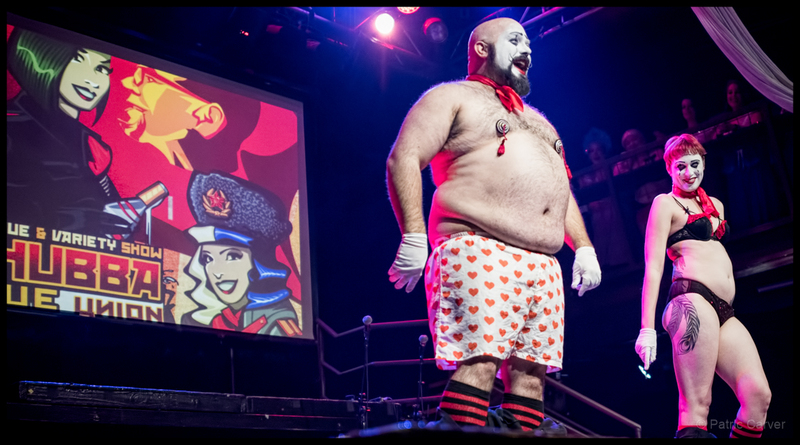 Last Friday night, Hubba Hubba Burlesque at DNA lounge manifested the heart and passion of the Bay Area performing arts scene while illustrating how special and important DNA Lounge is to the community. 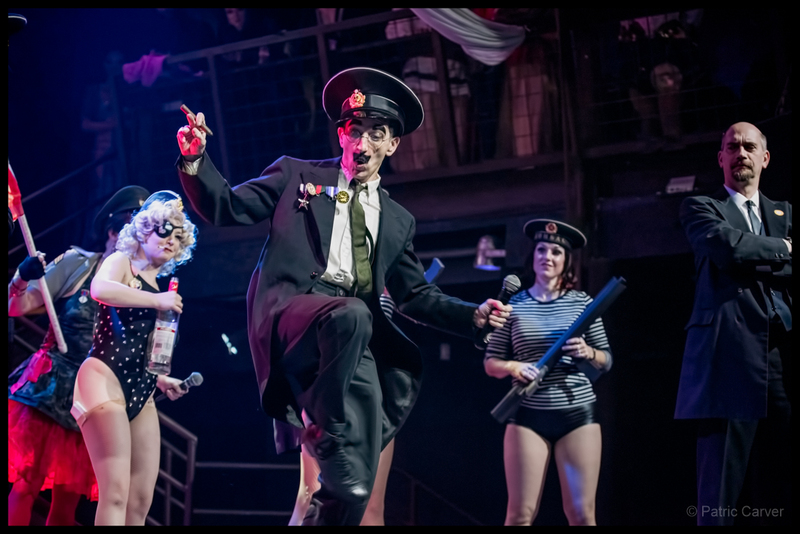 As part of Hubba Hubba’s series of themed monthly shows, this three-hour extravaganza lit up the stage with Soviet-themed glory. Before the show, I was skeptical of the theme. I feared that the chill of Cold-War inspired Russian phobia that our President-elect’s “friendship” with Vladimir Putin might cool the festivities. I was dead wrong. 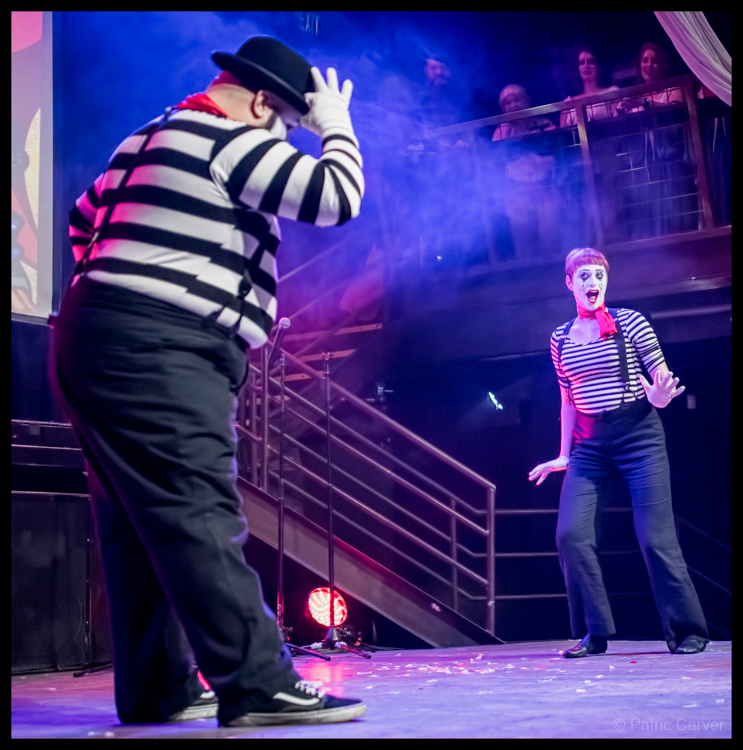 Tapping into the current political climate, Hubba Hubba provided the distraction that everyone needed with quick quips and glittery lips. 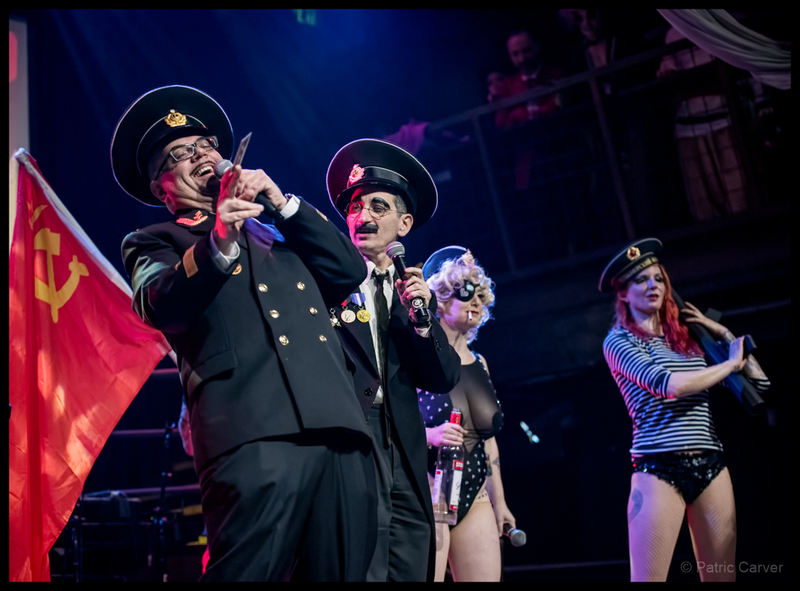 Usual hosts Comrade Kingfish and Alexa Vonkickinface were joined on stage by local band leader Lee Presson of Lee Presson and the Nails. Playing Moose-and-Squirrel versions of Soviet leaders, Presson laid it on thick as a leader that was more Marx brothers than Karl Marx. 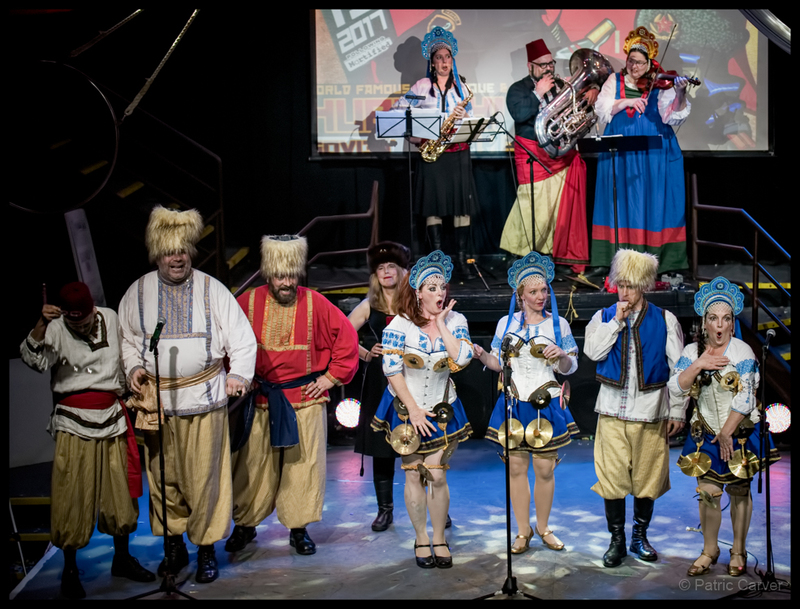 Weaving a thread of borscht-soaked comedy through the show, they ushered in a parade of acts that were too numerous to mention individually, even though each could have carried their own show. I’ve been to burlesque shows before where the musical component was background, filler. 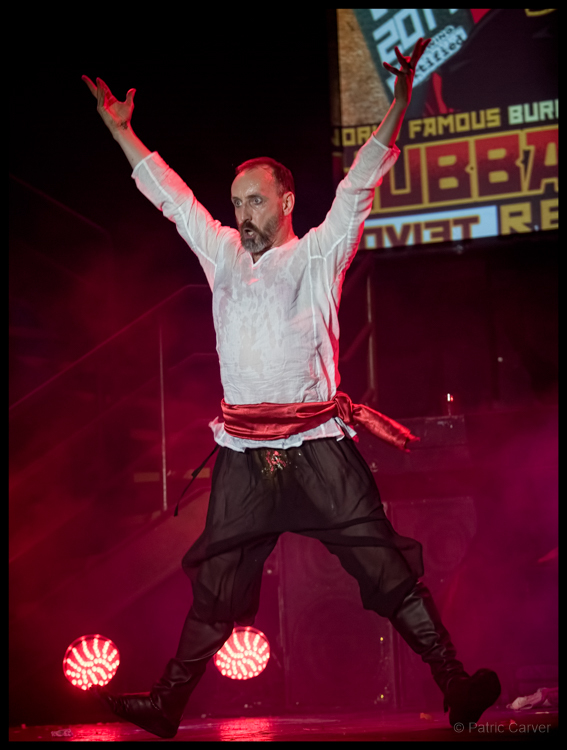 That’s not true of Hubba Hubba — skillful DJ Limbs Akimbo provided a sturdy spine for the show, but the performers filled in the flesh. Kiki La Chanteuse’s cover of "Goldfinger" was absolutely delicious. She filled the room with all the sensual ripeness of the original Shirley Bassey’s original. Few people can manage to carry a tune that well, and she did it while providing a perfectly-paced striptease. 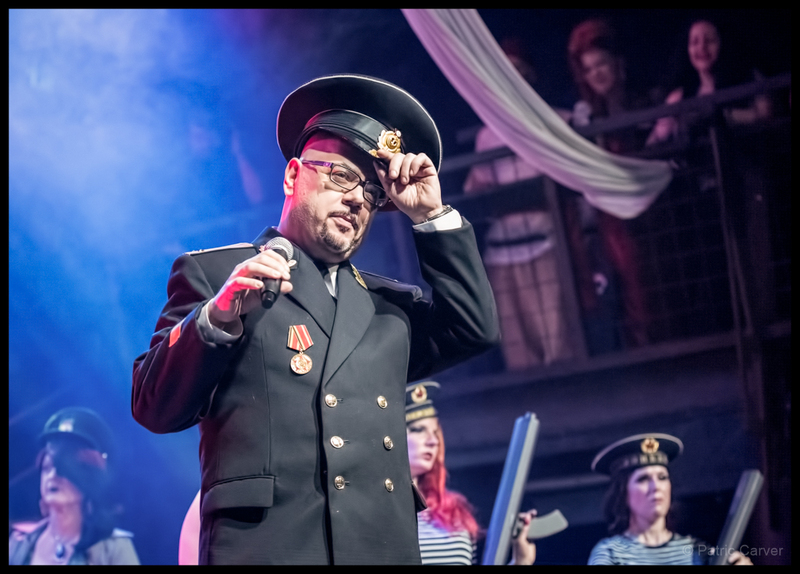 Another musical performer, Major Suttle-Tease, mixed comedy with calamity as he sang a punny version of "Puttin’ on the Ritz" called "Putin on the Ritz." 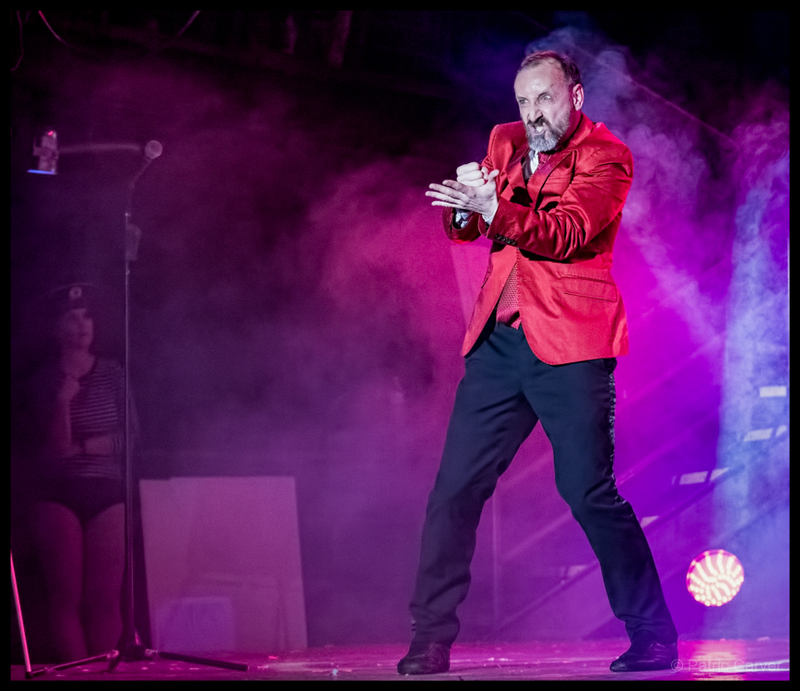 Dressed in a red suit jacket and tie, Suttle-Tease danced around the stage with Fred Astaire's grace and Dean Martin's charm. Contrasting against his smooth moves and sweet sound were lyrics that provided a sharp jab at current Trump-Putin relations. The show ended with Kingfish repeating Zawinski’s message for people to come out and enjoy the shows that they love with the aim of keeping them going. Calling DNA a safe space, he called for the masses to pack these spaces before they disappear. As people gathered their coats and took last swigs from their drinks, I hope they carried his words away with them. Not every city has a DNA Lounge. 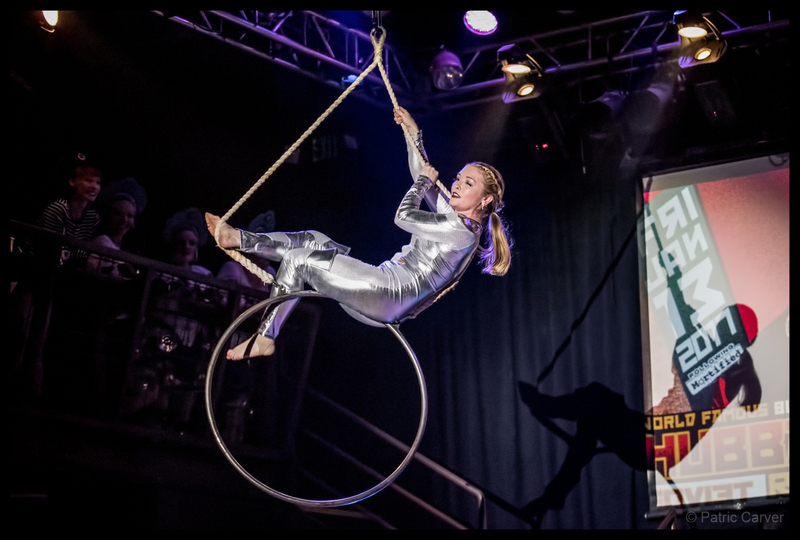 Not every city has the beautiful, inclusive spectacle that is Hubba Hubba Revue. Not every city in the world is bursting with so much talent and is so attractive to performers from all over. I am so glad to live in a place that has these wonderful things. I fear that it won’t always be this way, but great nights filled with entertainment like this one give me hope that it will. 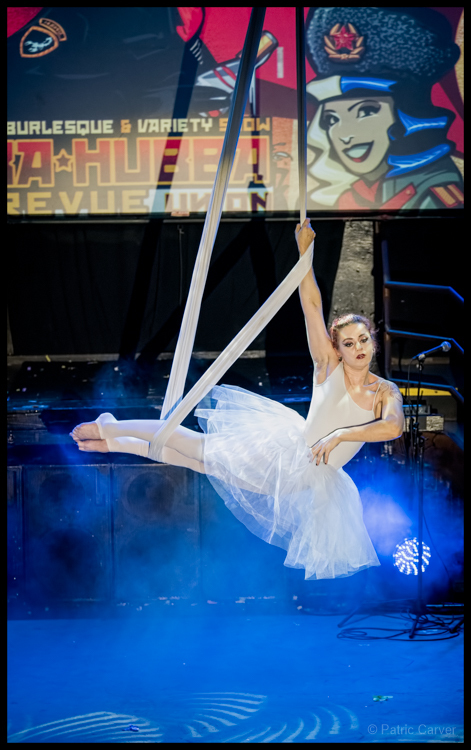 Hubba Hubba can be enjoyed every Monday Night at DNA Lounge. 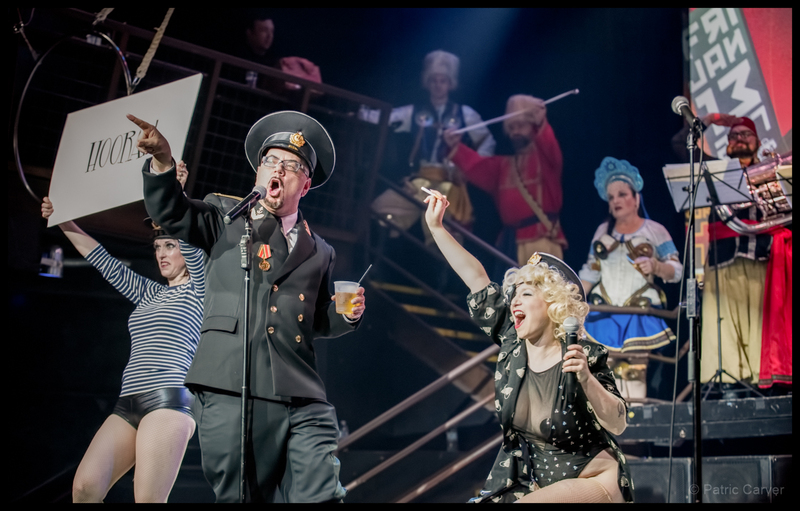 Their next monthly themed show, Colonel Kingfish’s Wild West Burlesque will be on February 3, 2017 at DNA Lounge. 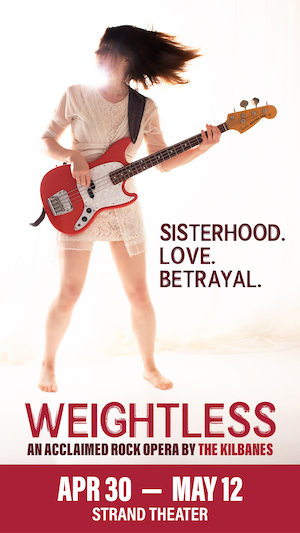 Tickets are available online.